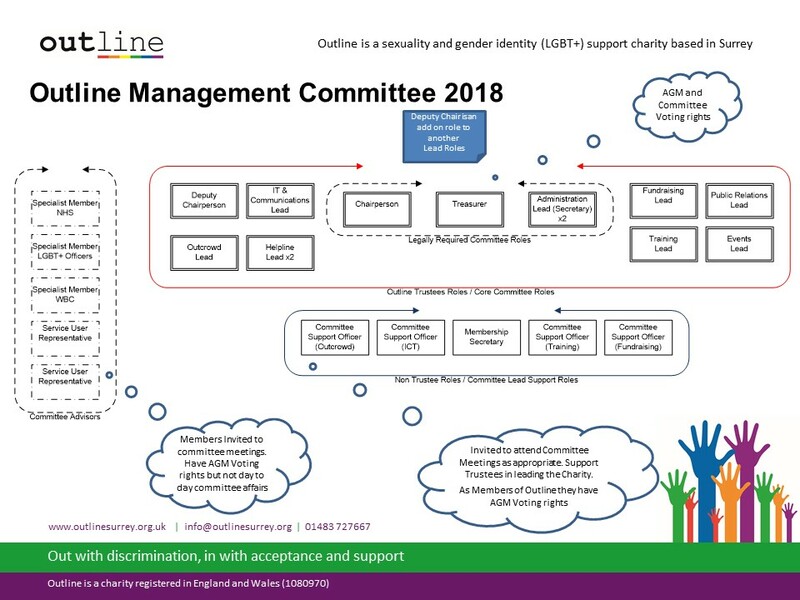 Outline’s management committee is essential to the good governance of the charity. 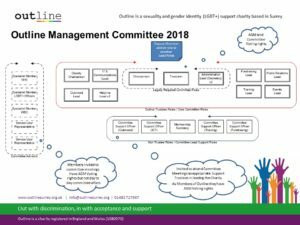 The committee also ensure that we provide the charitable support that is fundamental to Outline’s legacy of providing support and signposting to people struggling with sexuality and gender identity. All roles on our committee add immense value to Outline. We are required to have at all times a Chairperson, Secretary, Treasurer in place to comply with Charities Commission requirements. - To ensure that committee meetings are properly administered. - To organise a calendar of events to support and enhance the activities of the charity. Committee Support Officer(s) To support Lead committee members in the effective operational daily requirements of the charity.